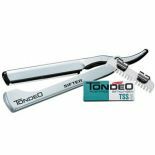 The Tondeo Sifter is especially versatile for cutting and shaving. Has a rational function as big strands of hair can be cut. 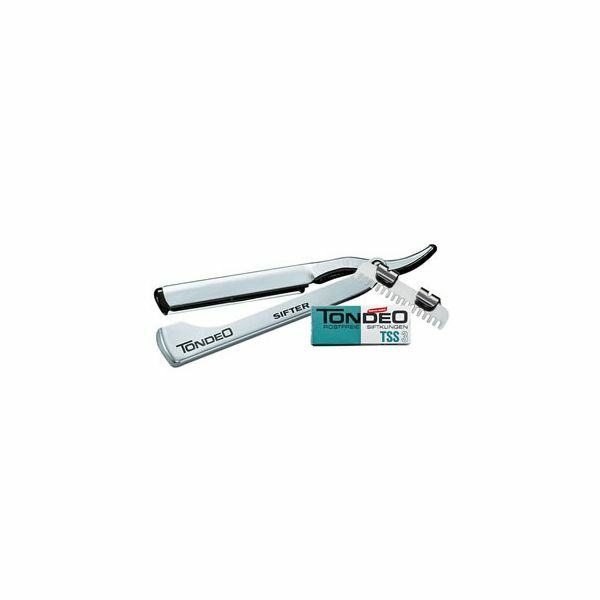 Ergonomically improved with folding handle and attachable vibration free comb which covers the blade for safety. Includes 10 blades.